TVXQ revealed a poster for their upcoming variety program. 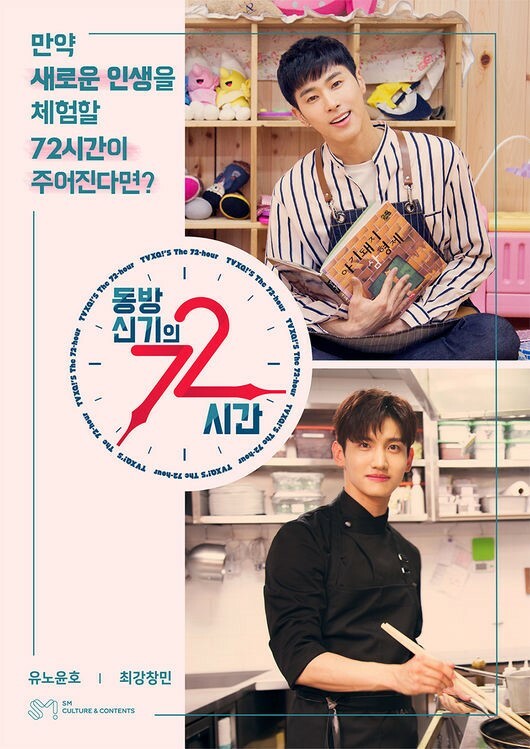 On April 11, SM Entertainment revealed an official image of TVXQ’s reality program “TVXQ’s 72 Hours.” The show will start broadcasting every Monday and Wednesday starting on April 30. First, the program will broadcast on V Live and Naver TV. Later, on March 7 the show will begin airing on every Monday on XtvN at 8 pm KST. The name of the program is inspired by the concept of the show. U-Know (Yunho) and Max (Changmin) try to adapt to the occupations they would have entered if they had not become singers. As a result, U-Know, who like children, transforms into a kindergarten teacher while Max becomes a chef. Moreover, the two will be placed in an actual school and restaurant where they will deal with everyday challenges of the profession. Prior to the premier, SM Entertainment will release a teaser trailer for the series. Meanwhile, TVXQ had a comeback on March 28 with their eighth full-length album.